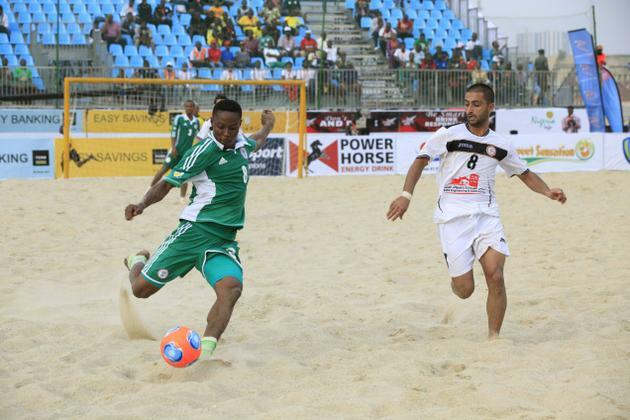 (Lagos Nigeria) Senegal’s beach soccer team on Sunday beat Nigeria 8-4 in the final of CAF Beach Soccer in Lagos. However, both teams qualified to represent Africa in the FIFA Beach Soccer World Cup in Bahamas in April next year. This victory for Senegal is the fourth continental title for the country after over powering Nigeria in the match. Also, Egypt beat Morocco 4-1 to finish third in the tournament. Nigeria’s Emeka Ogbonna was named the MVP of the competition following scoring six goals in Nigeria’s enroute to the final. Senegal’s Babacar Fall emerged top scorer with 11 goals, while Al Seyni Ndiaye of Senegal was voted best goalkeeper.